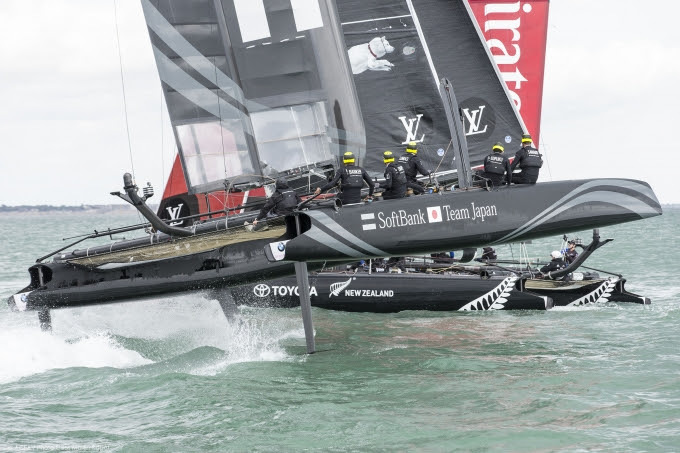 Fans of the America’s Cup in Bermuda will be able to watch live coverage of this weekend’s Louis Vuitton America’s Cup World Series in Portsmouth on ZBM. The event marks the first racing of the new America’s Cup cycle and serves as a prelude to the Louis Vuitton America’s Cup World Series in Bermuda in October of this year. “It was critical for us to make the racing from the opening event available to all in Bermuda, the home of the America’s Cup,” said Harvey Schiller, the Commercial Commissioner of the America’s Cup. The broadcasts from Portsmouth start at 13:30 UK [9:30am in Bermuda] on both Saturday July 25 and Sunday July 26. “We’re very pleased to be able to bring the opening races of the Louis Vuitton America’s Cup World Series to Cup fans here in Bermuda,” said Ian Rawlins, Programme Director of Bermuda Broadcasting Company. Really, that is the laugh of the year, well done Cranberry. 9:40 and ZBM still have CBS showing… so much for America’s Cup. At least have some streaming on my phone!!! 9:45am and no America’s Cup on ZBM over WOW. WTH?? ?